Scientists have equipped a drone with a new algorithm to herd birds without human input, saving aeroplanes and birds alike. The technology, developed by CalTech, Imperial College London, and the Korea Advanced Institute of Science and Technology (KAIST), allows a single drone to herd an entire flock of birds away from the airspace of an airport, without harming individual birds or the flock’s formation. This is the first time a drone has been trialled for saving aeroplanes and birds without human input. The researchers tested the equipped drone on flocks of birds near a field in Daejeon, Korea. The experiments were guided and analysed by a team including Dr Aditya Paranjape from Imperial’s Department of Aeronautics. They found that their single autonomous drone could keep a flock of dozens of birds out of a designated airspace. The findings are published in IEEE Transactions on Robotics. In the UK in 2016, there were 1,835 confirmed bird strikes – about eight for every 10,000 flights. When birds strike aircraft, mostly in the engine or cockpit windows, pilots must land at the nearest airport so the plane can be inspected for damage. This means booking passengers onto alternative flights, at huge cost to airlines. Transport Canada estimates the cost to North American airlines as $500 million a year. 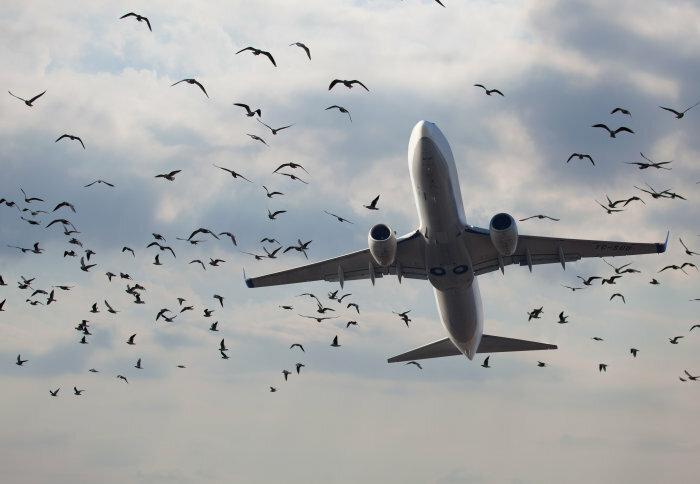 Current strategies focus on preventing birds from entering airspace at all, to protect both the birds and passengers. They include using trained falcons and predatory bird sound recordings to scare off flocks, or human-piloted drone to scare the birds. These strategies can be costly or—in the case of the hand-piloted drone—unreliable. Now, researchers have equipped drones with an algorithm that lets them herd away flocks of birds without human input. 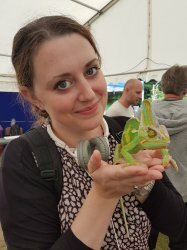 To teach the drone to herd autonomously, first author Dr Paranjape and colleagues created a mathematical model of flocking dynamics to describe how flocks build and maintain themselves, how they respond to threats along the edge of the flock, and how they then communicate that threat through the flock. With this information they created a new herding algorithm that produces ideal flight paths for incoming drones to move the flock away from a protected airspace, without dispersing and harming the flock. They then conducted experiments on two flocks of loons and egrets. Each ‘herding’ drone conducted a series of manoeuvres around the flock, like a sheepdog with a herd of sheep. Separate drones hovered above the experiments to film their progress. Using the ‘sheepdog’ approach, they successfully kept differently sized flocks of birds away from the designated area. As expected, they also found that larger the flock was more difficult to herd, suggesting that multiple drones could be useful. The authors say their study provides the first template for developing herding algorithms and testing them on live birds. Next, the team will scale up the project for use on multiple drones to deal with multiple flocks. In addition, Dr Paranjape will continue to study the interaction between flocks and their ‘herders’. “Robotic Herding of a Flock of Birds Using an Unmanned Aerial Vehicle” by Aditya A. Paranjape, Soon-Jo Chung, Kyunam Kim, AND David Hyunchul Shim, published 2 August 2018 in IEEE Transactions on Robotics. The research was funded by the U.S. National Science Foundation. This story was adapted from a press release by CalTech.